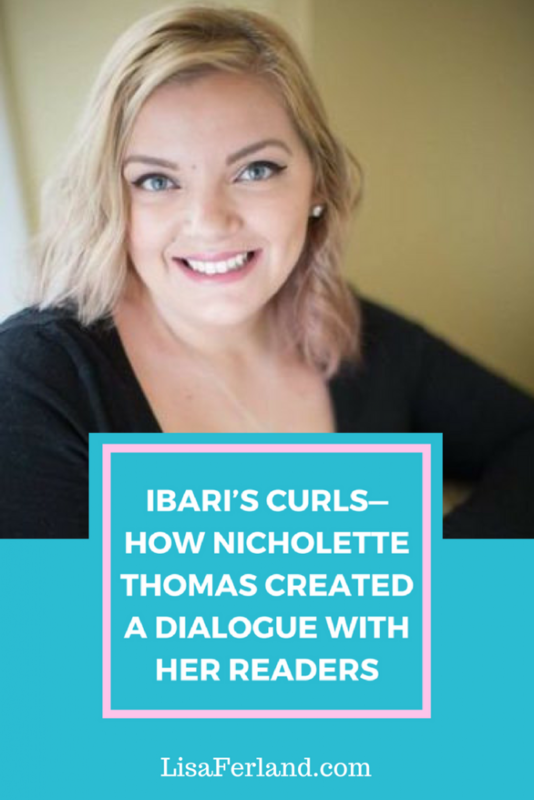 Nicholette Thomas wrote and illustrated her first children’s book, Ibari’s Curls, that focuses on creating a dialogue with her young readers. I know this because my kids love “answering” the main character’s questions throughout the book. I’ve never seen anything like that before and we have quite the collection of children’s books in our house. It turns out that creating that conversation was the main reason why Nicholette decided to self-publish her book. That style of writing is not commonly found in children’s books (but it should be because it is quite effective). 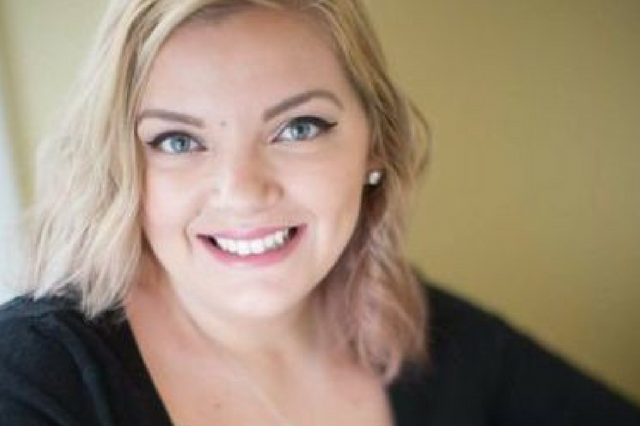 Read more about my conversation with Nicholette and how she plans to educate kids (and their parents) through this type of interactive reading style. 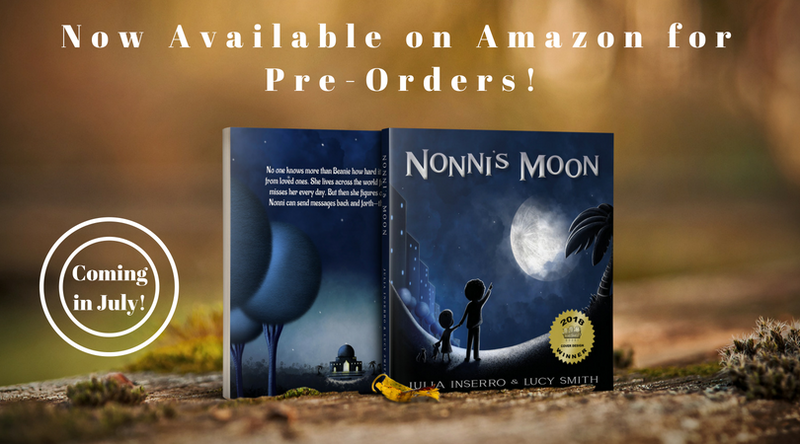 Why did you decide to self-publish your illustrated children’s book? I always wanted to write a story, and I set a goal to publish a book. I wasn’t sure traditionally publishing was right for me because it takes a long time and I can be really shy. With self-publishing, I felt in control, I didn’t need approval from anyway, and I could accomplish it all by myself. The illustrations are really unique in your book. What was your process? I sketched in pencil, did the watercolor, outlined in marker, and then scanned and enhanced them to make them transparent. I wanted a painted background to make the illustrations more unique. I didn’t use any fancy tools—I dropped the scanned file into Word and clicked the tab “Set to transparent,” and that was it. 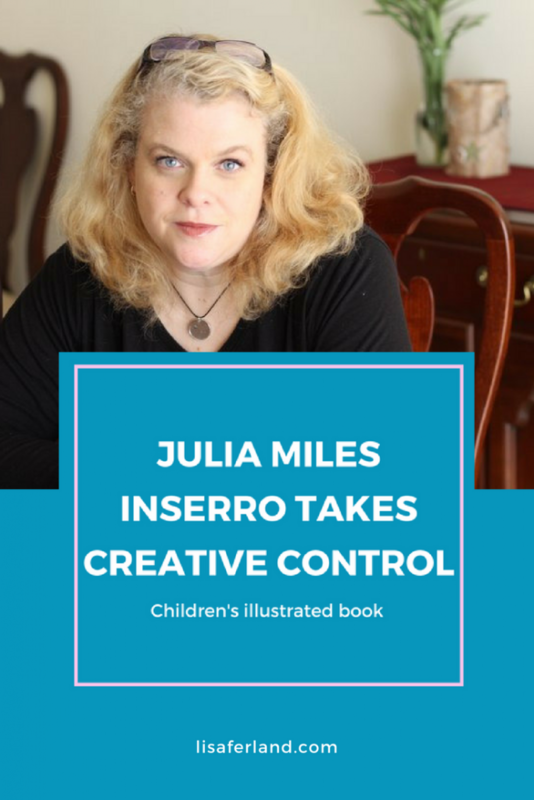 I upgraded my Canva account so that I could control more of the settings, but that was really it. You really used Word to manipulate your images? That’s crazy. Word is not designed for that at all. I’m impressed. Yeah, I did! I made it work. 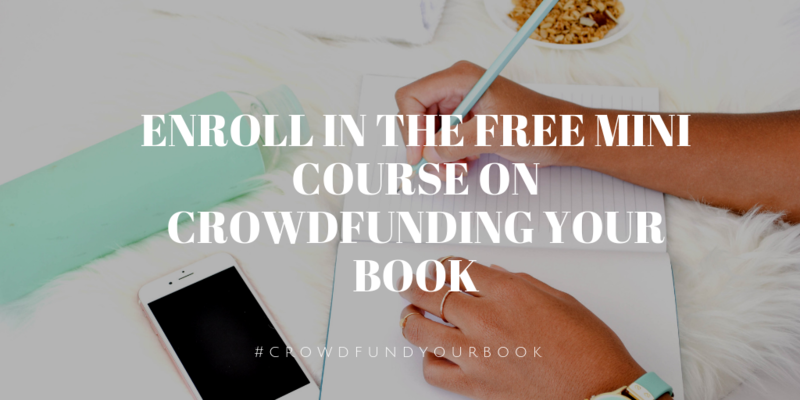 You ran a quick Kickstarter campaign to cover some of the fees of your book. Can you explain what the campaign covered? I wanted the Kickstarter campaign to cover the costs of the ISBN 10-pack ($395), the Canva upgrade ($12/mth), and then the set-up and printing costs of the book (Ingram Spark $49 and CreateSpace $75). Next time I self-publish a book, I want someone to take my artwork and make it digital, but for this book, I didn’t hire any editors or cover designers. How long did it take you to create the book from start to finish? Ingram Spark ($8/book) ended up being much cheaper than CreateSpace ($13/book) for me to produce since my book was full color and there was no noticeable quality difference that I could find. 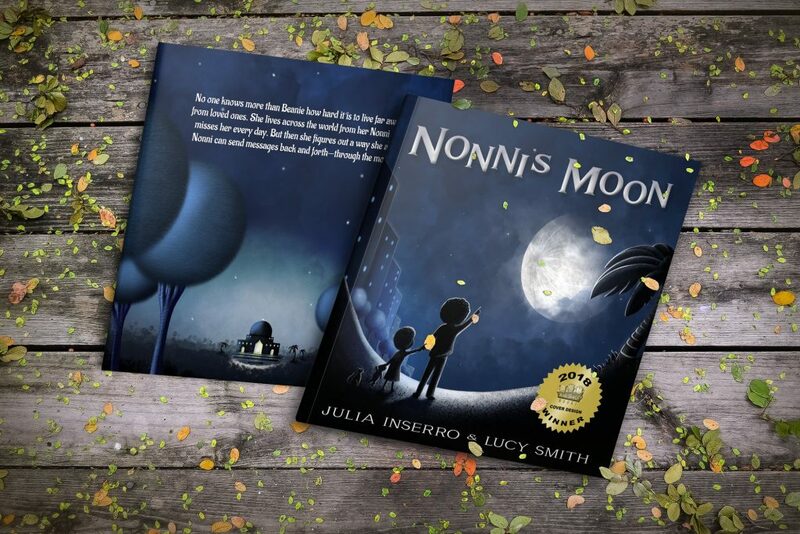 What advice would you give an indie children’s book author? My advice is to hire a cover designer and illustrator if you don’t know how to do it yourself. Also, have kids look at it and make sure that the words make sense to them. I got a lot of great feedback from the kids who read the book and pointed out things that I wouldn’t have thought about. Getting group feedback is really good even if it means you have to change things. Do a lot of research and keep testing before you publish. Your book used to have a different title. What made you decide to change it? During the research phase, I noticed that a lot of children’s books had really unique names. Golden Girl and Her Curls (the original title) just didn’t seem unique enough to stand out. I asked for feedback in a book group, and Ibari’s Curls was overwhelmingly more popular. Be careful in how you share your work publicly as you might still be working through things and changing things right up until publication. Has self-publishing your book resulted in any new opportunities for you? Self-publishing definitely forced me to put myself out there more than I was already doing writing for my blog. A book is a much more visible product of your work, so it’s easy to feel more vulnerable because it is being seen and judged by others. What’s next for you? Are there any new books in the works? I’ve started illustrating another book about unique families and want to show different makeups of families. There will be all sorts of families with two dads, two moms, one mom, one dad, etc., and I want kids to know that this is normal. For any book I create, I want there to be a dialogue with the reader, so they learn as they read while still having fun. Any last takeaway messages for indie authors? Make sure publishing a book is something you feel passionate about. Don’t do it to try to make money, do it because you love it. Even if you don’t sell one copy, you’ll still feel great when you hold your book in your hands. 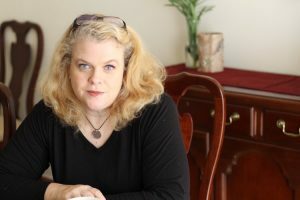 Nicholette Thomas writes at mixedfamilylife.com about her interracial marriage and family life. 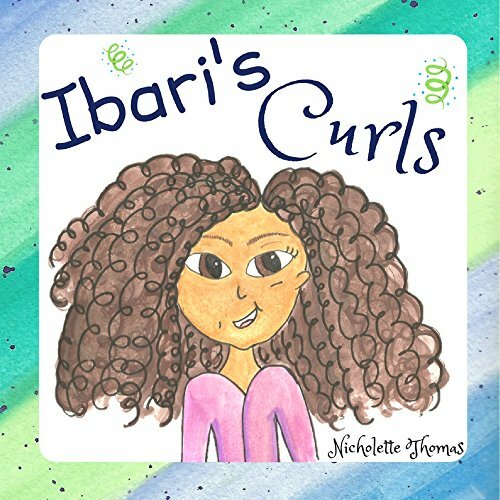 Be sure to read her book, Ibari’s Curls, and follow her on Facebook. Erin and I first connected when we were both live with our Kickstarter campaigns. (You can see hers here.) 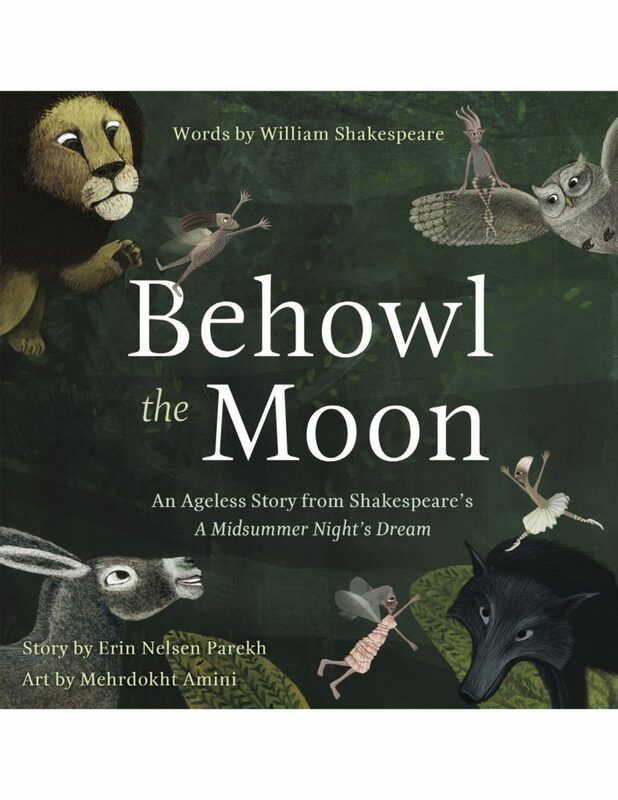 Activities during a crowdfunding campaign involve reaching out to strangers and supporting one another on the platform, and I absolutely loved what Erin was doing with Behowl the Moon. 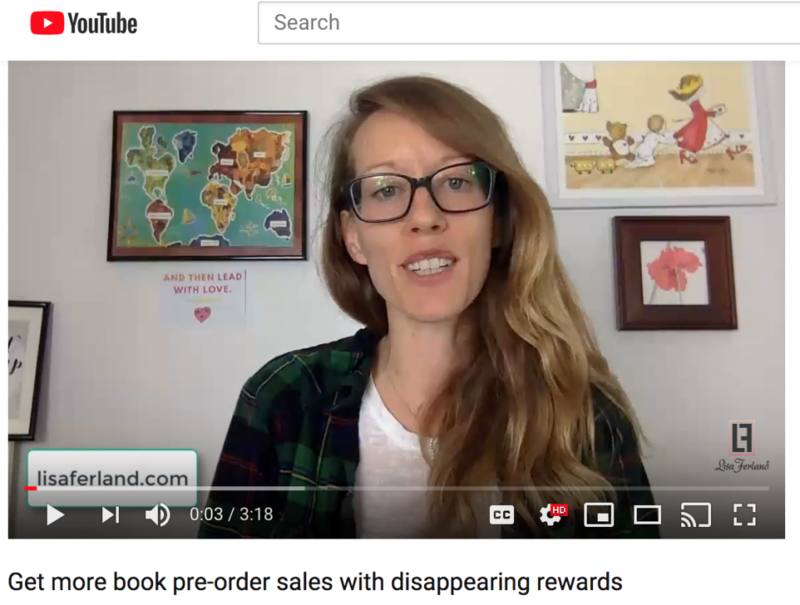 UPDATE: Erin has launched another Kickstarter campaign for her second book, The Wild Waves Whist that is live now until May 19, 2018 so be sure to back it! Check out her Kickstarter campaign here. I mean, how many Shakespeare board books for babies are out there? What I loved about what she was doing was that it wasn’t really for the babies. I mean, it was a book for babies, but the book was just as much designed for the parent reader. Believe me, no baby is going to appreciate that artwork like an adult. 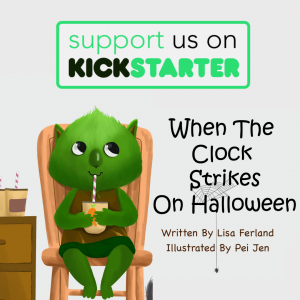 As Erin is a Kickstarter creator of a children’s illustrated board book and a self-published author; this interview covered a lot of topics. You have experience with traditional publishers so why did you go the self-publishing route? I thought I had a fairly strong idea, but there was no reason I could think of that a traditional publisher would want me to do that idea. This was something I wanted for myself, and I knew other people like me would want for themselves, but I didn’t know if it was a big enough market segment for a traditional publisher to take a risk on it. 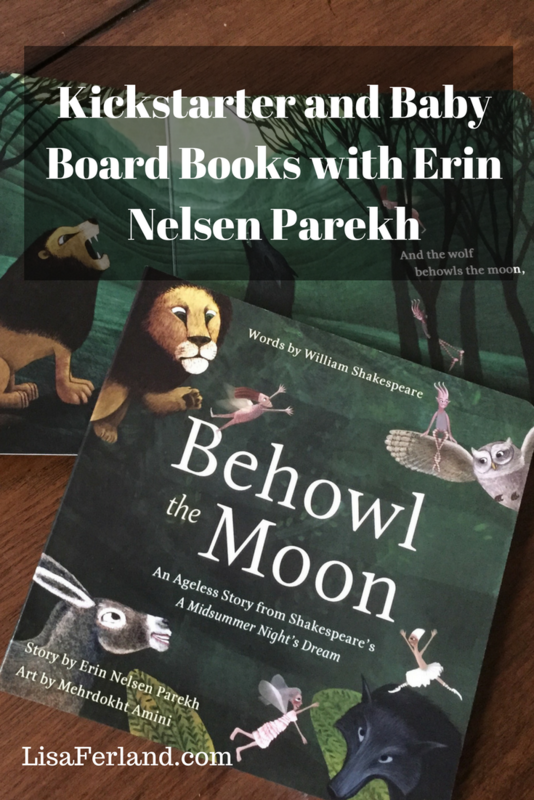 Board books are expensive [to produce] and almost nobody debuts with a board book. For me, I would pay $25 for a board book instead of $3 for something I really wanted, and I knew that if other people were willing to do the same, then we could do it ourselves. I have an extensive background in traditional publishing and I’ve done a lot on the editorial side. I knew how it was done distribution-wise and the technical details regarding the printing, so I wasn’t intimidated by the prospect of doing it myself. Self-publishing meant that I got to pick everything—the illustrator, the title, the content. I wanted to have creative control for my project. Self-publishing was a really empowering option. Going through the crowdfunding process really made me feel like the entire project was vetted. If I hadn’t done the crowdfunding, I’m not sure I would’ve had the confidence to push it so far. We had 384 backers for the project so we weren’t trying to please the entirety of the world. I’m a bit of a perfectionist, and I know my audience is extremely sophisticated and has high standards for quality and production. My illustrator was fabulous. And I also worked with a very talented professional book designer. I understand the need for getting the technical details right, but I don’t know how to make the book spine a certain width or how to reverse a template—she does. Someone who is creative but not experienced in this industry wouldn’t know how to make my vision come to life like she did. No one really wants to compromise on their project except in areas where you don’t know any better. I really liked Kickstarter’s all-or-nothing approach because I wouldn’t be able to produce the book with only $5K. We truly needed to reach 100% funding to put this book together. How much work did you do before the campaign? Before the campaign, I did a ton of research on where to find potential backers. I tried to think of every possible audience who might be interested in this book and how I was going to talk with them (Marketing 101, right?). Then, I started finding where Shakespeare people were, parents, board book people, theatre people, kids who are into theatre, and then all of the blogs, websites, friends, etc. and made massive lists of every possible angle. During the Kickstarter campaign itself, I tried reaching out to multiple groups each day so I wasn’t exhausting one interest demographic, but I was connecting with new people every day. Did you do it yourself or did you have a team of people helping you? I had a few wonderful friends and relatives who were interested in the project who helped me out sharing and looking for places to share. Shakespeare Geek, who has been blogging since the dawn of blogs, picked up my campaign from Reddit, and he was my first stranger cheerleader. It’s so incredibly compelling when someone else in the void of the internet likes your idea and has the authority of a background in your topic. 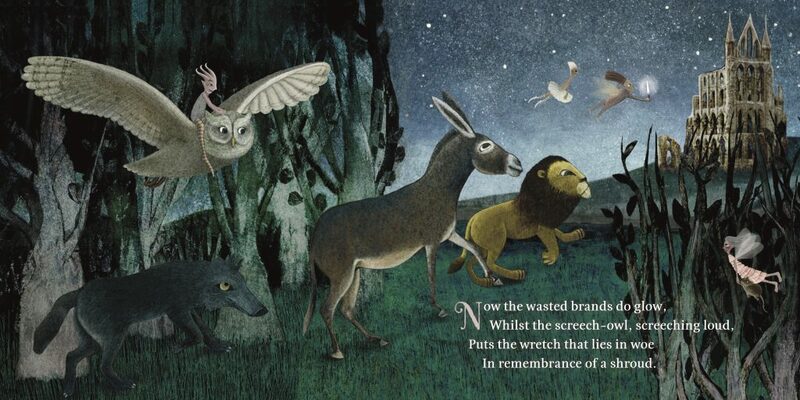 Neil Gaiman tweeted about the book and then did it again as the campaign was closing. I really admire him as an artist, and it was extremely exciting to see that momentum build. You reached 100% with a few days to go in your campaign. Were you sweating it out? You get hung up at 92% for a few days, and it’s stressful. How did you set your different reward tiers? Crowdfunding campaigns are incredibly short, and there are only so many people who are going to back you at the higher reward levels in the short amount of time you have. It’s simply the nature of crowdfunding. You’re only going to reach so many people at those upper levels in the time you have. People who really love you or your project may support you at the higher levels, but it has to be viable with a reasonable number of supporters at not too high a contribution point. What’s your advice for authors with illustrations? 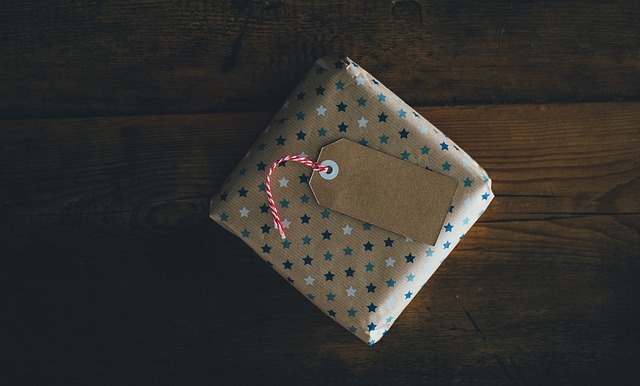 If you’re selling a print to go along with your book, you’re selling either a souvenir of the campaign, in which case they have to really like the campaign; or a physical piece of artwork, in which case they have to really love that piece of art; or a way for them to support your campaign, in which the actual piece of artwork doesn’t matter at all. 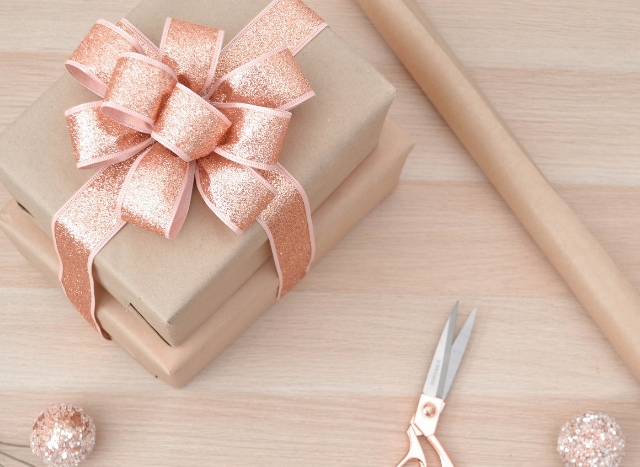 It’s hard to know what motivates people to choose a print, so you have to cover all those possibilities when you’re making your decisions about production and shipping. Some people will want to buy the print, and some people will want to support the campaign at a higher level. Kickstarter always gives you the option to donate to the campaign without any rewards. But too many reward options weaken your entire campaign. For me personally, I like the stuff, so I designed my rewards based on stuff that I like. The artwork is beautiful and calls to mind a fairly beloved play, and the artwork was one of the main items I was trying to fund, so postcards and prints turned out to be the most practical and transportable with the highest added value. The success of the campaign filled me with all of this gratitude, and I wanted to send everyone everything related to the campaign. But you also have to keep an eye on costs, and postage is one that will add up fast. I had one quarter of the artwork paid on spec (by me) for the campaign, and we did the rest of the artwork as soon as it funded. I was seven months pregnant, so I needed to get that book off to press! We finished in November 2016 and went to press December 12, 2016. My daughter was born two days later. I was approving final carton markings in the hospital! But then I had a couple of months where the book didn’t really need anything from me. What’s next? 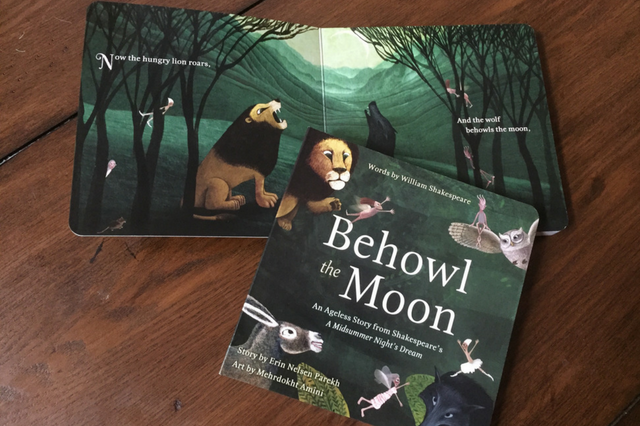 Can readers expect another Behowl the Moon anytime soon? Yes! I just sent out a survey to my backers to see if they would be interested in a second one, and the response was so positive and gratifying. I have a new project percolating along now. I’m hoping to announce some details soon, and if anyone is interested they can find out about it from my mailing list: http://drivelanddrool.com/contact. What would you say to someone who wants to farm out their publishing or crowdfunding campaign to someone else? The misery of rewriting is the author’s alone, and I think that applies to crowdfunding too. If you try to outsource it, it’ll end up “okay” and okay isn’t good enough. You have to own the entire process, and if you want the victory, you have to go through the slog. But I love seeing the content that is out here that wouldn’t exist if it wasn’t for crowdfunding. It really does democratize so much. 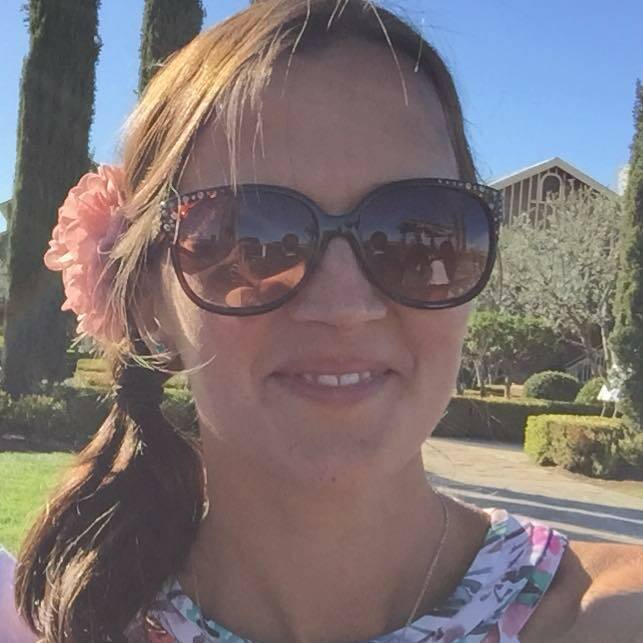 Erin Nelsen Parekh is an editor, writer, and copywriter with experience in book and magazine publishing, both business to business and consumer-facing. 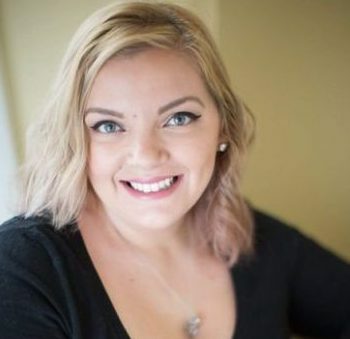 She has always loved kids and kids’ books, and now that she is a parent herself, she finds it particularly fun to explore children’s literature with a tiny critic in her lap. There are tons of self-publishing tools out there and with the proliferation of Word and InDesign templates, writers have a myriad of options to choose from when it comes to interior typesetting their paperback. 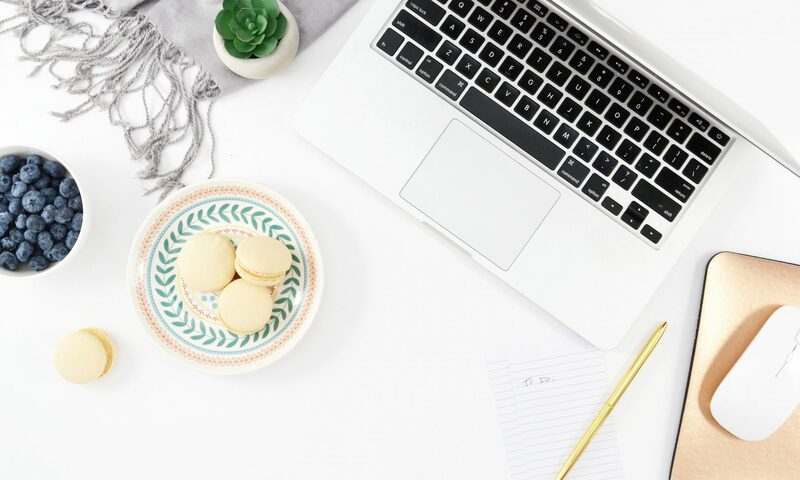 Templates are great for saving time and energy on the big things like headings, margins, and gutter widths, but you still need to do the fine tuning before you hit publish. 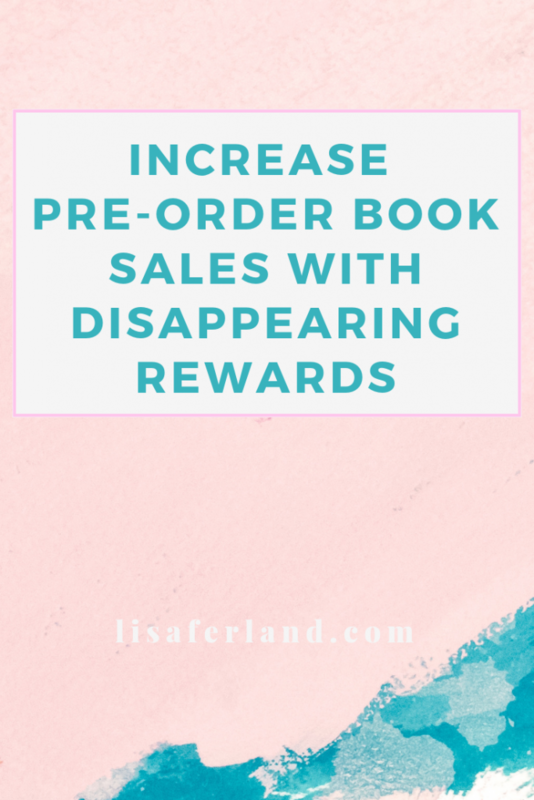 As a self-publisher, it is your responsibility to make sure that your book looks and feels like a traditionally published book. Yes, I’m putting that on you, not on the template. The template can’t tell you when there is a widow/orphan even if you check that box in Word (don’t check that box, uncheck it right now). I’ve seen both small and large mistakes happen with authors who didn’t manually adjust anything after plunking their text into the template. Don’t be that person. I get it. You’re fatigued and you think the template will take care of everything, but it doesn’t. It can’t. Remember to always think like a reader and don’t settle for anything less than your best. Strangers and friends will be reading your book. You want to impress them. 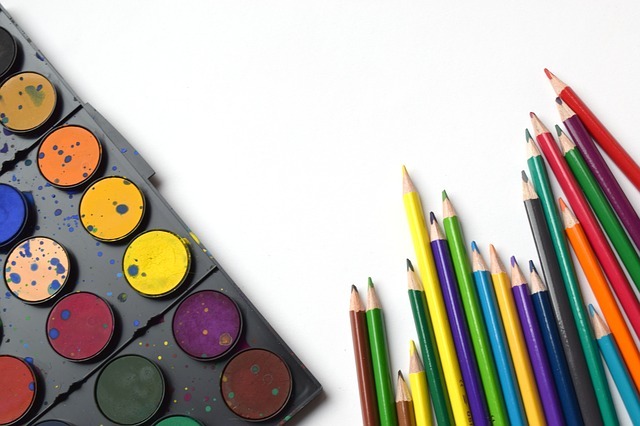 Your template doesn’t care as much as you do about how your book looks on the inside. Don’t give into your fatigue and do the necessary fine tuning. If you are too tired to care, hire an extra set of eyes to help you out. Justified text formatting results in really weird spacing between words to make up for the justified text. Ok, that is an exaggeration above that I created manually but I have seen this in so many self-published books. Whenever I see this, I know that someone wasn’t experienced enough (or too tired/lazy) to go back and fix it. Not a good look. Tsk, tsk. You can correct this funky text justification manually by heading to the line(s) below wherever you see this bizarre spacing taking place and add in a hyphen to one or more of the words in those lines. Try it out and watch your spacing adjust like magic. Voila! It’s a bit of an art form to find the right word to hyphenate that adjusts your spacing. Whatever you do, only hyphenate where it makes sense for the reader (e.g., “be-tween” not “betw-een”). When you’re first starting out, this will take some experimentation to find out where it makes sense to add a hyphen so as not to confuse your reader. Go through your entire document starting at the beginning and work progressively through your document from start to finish. Eliminate all of these overly stretched spaces between justified text. As a reader, I want a seamless reading experience and too much white space between the words in a sentence is annoying, not helpful. I will admit, there was a point in Knocked Up Abroad Again (aff link) where I gave up adjusting for every single orphan and widow. I did my best to take care of the really obvious/annoying ones but I let a few slide because it seemed that no matter how I adjusted my spacing, they remained. You may find that you need to delete entire sentences to accommodate widow/orphan control and this can start to mess with your story. Again, typesetting is an art form. Being able to keep all of the content and have it properly spaced—the lines and the spaces between the letters—to provide a seamless reading experience is why typesetters can charge what they do for their services. I recently read a traditionally published novel that did zero widow/orphan control and it really bothered me. At least make an effort. Templates cannot control for widows and orphans even if you check the “Widow/orphan control” setting on Word (don’t do that, by the way). You need to go back and take care of widows and orphans by adding/removing words from a sentence or changing the letter spacing/kerning. Again, work progressively through your manuscript from start to finish or all of your hard work will be erased as soon as you make any change whatsoever. Fun, right? Headers on pages with no content or headers on title pages. ACK! This one is easy to miss for many beginning authors because they simply don’t know how to remove headers. This is one of the main dangers of using a template. If you don’t understand how the template was created, you can’t edit the template accordingly and you’re left with headers standing proudly at the top of blank pages. Blank pages should be blank. Typesetting in Word is tricky because it’s not a software that is designed for typesetting. You have to beat it into submission to make it do what you want, but you can do it. When creating headers in Word for your author’s name and book title/chapter title on each page, you need to use your Word Sections wisely. Templates can result in a few obstacles that you can easily sidestep if you know what you’re looking for. 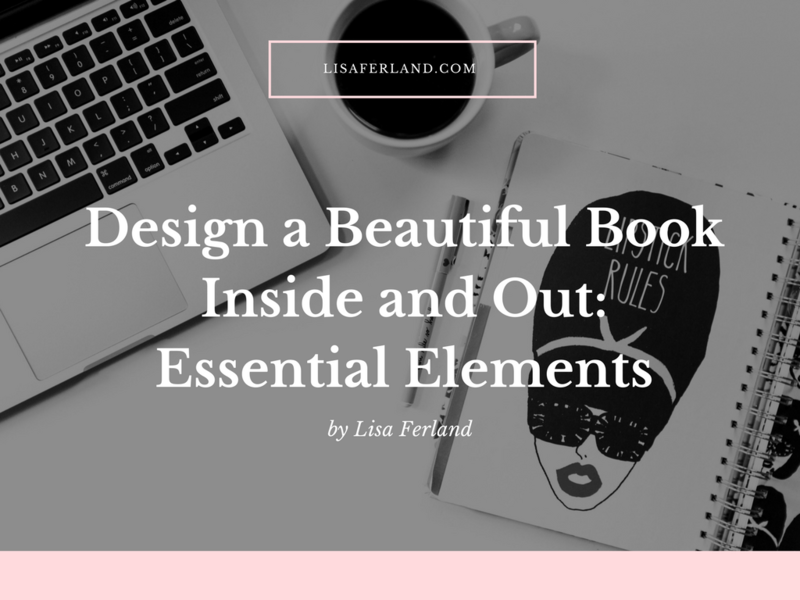 Templates are great tools for saving time and providing the consistency that readers expect in their formatting, but it’s still up to you to be sure your book looks and feels the way you want. If you want to get extra nerdy, which I always recommend, here are some additional articles to get you typesetting like a pro. If you’re looking to hire a fresh pair of eyes (mine) to review your manuscript before you hit PUBLISH, and aren’t afraid of keep-it-real feedback, then send me an email. I’m happy to help you avoid making unnecessary mistakes. 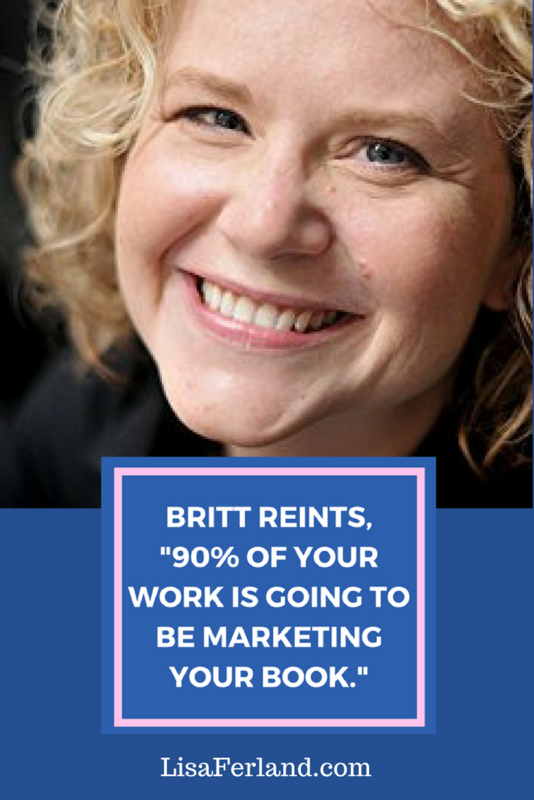 I had the opportunity to chat with Britt Reints, author of An Amateur’s Guide to the Pursuit of Happiness, who was kind enough to share her insights on why she chose to self-publish and the interesting things that happen when you are marketing your book. What aspects did you end up doing yourself and what did you hire out? I hired a cover designer and a few editors. I also hired a short-term publicist who blasted out my press release to every outlet and got me on a few radio shows. I did my website all by myself and the interior formatting of my book and e-book. I used Scrivener for the writing and organization of my book. Do you remember how much it cost to produce your book? I can’t remember exactly, but I’d say somewhere around $1800. The cover designer charged around $500, editors $800, and the publicist was around $500. You’ve been writing for about 12 years. 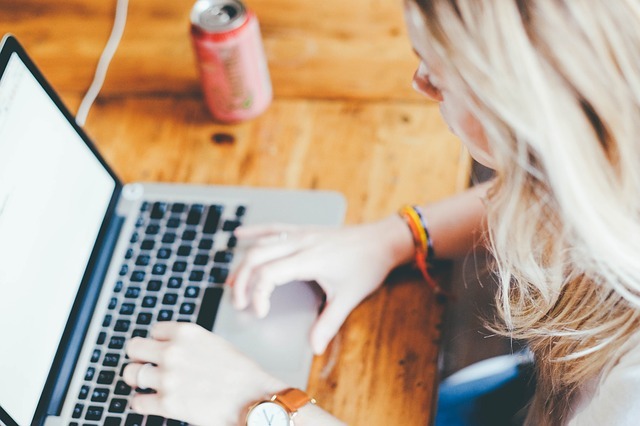 How helpful was your blog in informing your book? Well, I traveled for a year, but I didn’t write about that trip. I wrote the book that I didn’t see in the self-help genre (I cringe at the term). I wanted to write something that discussed the topic of happiness in a way that reached more people. I wanted it to be accessible. I saw the same themes coming up over and over again on the blog, so I knew they were universal, and I wanted people to know how to do it. Do you consider yourself a happiness guru of sorts? After I wrote my book and did a Ted Talk, I haven’t written. It kind of killed my writing because after writing my book, marketing my book, I got annoyed with my topic. Being associated with my book’s topic ended up being limiting in a way. I was interested in happiness because of a personal experience I had, but I’m kind of over that and want to explore other things. What was the biggest marketing event that went the furthest? I definitely sold the most number of books when I was speaking at corporate events and conferences and had my book for sale in the back of the room. I could sell a lot in bulk—20-30 books at one event, so that’s where I saw the most traction. Hone your craft and be a good writer (and all that jazz) but know that 90% of your work is going to be in marketing your book. If you’re not good at marketing, then invest your money in someone who is. Do you think it’s worthwhile to self-publish a book? Writing a book is a stepping stone. When you’re done, you have a huge sense of accomplishment, and it solidifies your platform. Similar to getting your college degree, it shows that you can do a good job and finish something. You can flesh out an idea into a finished book. It’s a major portfolio builder. I would publish again, but now that everyone is writing on the internet, I feel less inclined to put my opinion out there until I know how my opinion is different from everyone else’s. I’m still active on social media, but Twitter is so noisy. I prefer Facebook for tracking conversations. 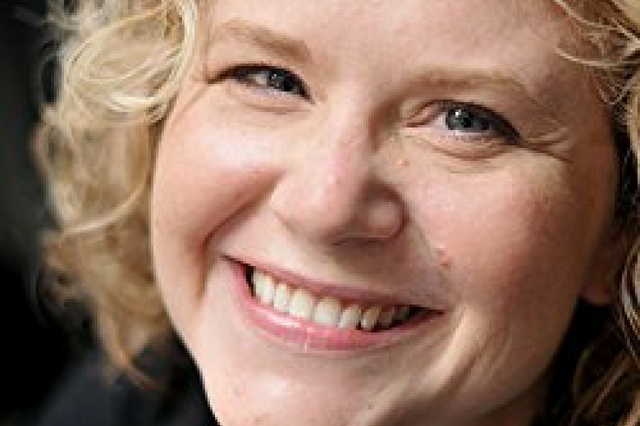 Britt Reints is a happiness expert who doesn’t believe there is any such thing as a happiness expert. Check out her writing at www.inpursuitofhappiness.net. People always ask me if it was a lifetime dream to publish a book and honestly, it was never a dream of mine. Throughout my academic career, I have written so many papers, technical reports, and research articles that the thought of writing a book had never crossed my mind until relatively recently. However, once the idea was in my head and I discovered that there were a lot of viable options to self-publish a book of high-quality, I knew I had to do it. I’m used to the “publish or perish” mindset in academia—which insanely combines high quality with a sense of dire urgency. You must put out your best work before your colleagues. Academic publishing can be brutal. 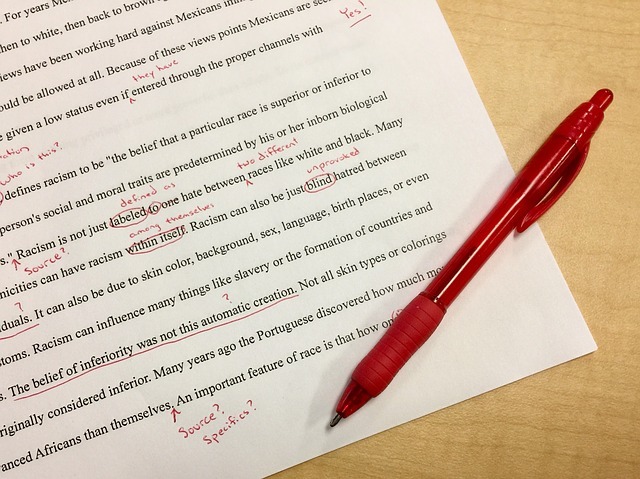 You are at the mercy of multiple rounds of revision, fact checking, and peer-review testing that are beyond your control and yet, you are expected to publish before everyone else. There is a lot of hurry up and wait when it comes to academic publishing. Your best work is almost always in someone else’s hands. With that in the back of my mind, I knew that if someone else published a book with the same idea and concept, I would be upset with myself for not pursuing it. I relished the idea of being in control of the timeline but I was a harsh (still fair) boss and I held myself to self-imposed deadlines. As much as I hate to admit it, it was the drive to be the first to publish the idea in book format was what spurred me to work those long nights for months on end. Because let’s face it, there aren’t many firsts left for most adults. As an experienced professional, I had already gone through the ringer from graduate school, learned how to behave professionally in a traditional 9-5 office job, and presented at enough conferences to shake off the nerves. The idea of creating and publishing a book was a new challenge. A new set of steps to figure out and an exciting hike off my usual beaten path. I felt confident that I could leverage my experience with traditional publishing in academia and apply my project management skills in self-publishing. I wasn’t leaving anything behind—I was taking all of my skills and utilizing them in a new way. It felt refreshing. It also jazzed up my daily tasks. My husband made a valid point. As professional adults, a lot of our “firsts” are behind us. I’m a huge believer in always learning, studying, and researching new things but the idea that publishing a book would be a new “first” stuck with me. Self-publishing a book would be the first time I ever held a book in my hands with my name on the spine. The first time I took an entire project from start to finish on my own inertia. The first time I cared more about a project than anyone else. The first time they were my deadlines and not someone else’s. The first time I could create the sequence of steps and follow them how I wanted. The first time someone else wasn’t asking me for project updates—I was the one managing a team. My book wasn’t anyone else’s project. It was mine. If you’re looking for a new “first” and are considering self-publishing a book, let’s have a quick chat to see if I can help. Want to do it on your own like I did? Check out my comprehensive course on self-publishing. Learn about the differences between traditional, vanity, and self-publishing in this video below. What is a book blurb and why should every book have one? If you are contemplating publishing a memoir, I would highly recommend you pursue the traditional publishing route. 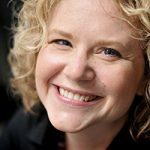 Here is a list of nonfiction literary agents that you can search. If you are planning on writing a series (or you think it is a possibility), I would suggest self-publishing. I am happy to hop on a free 20-minute call with you to see if it’s right for you. Click here to send me an email for a free 20-min consultation. What is a book blurb and why do I need one? Book blurbs are one of those things that many self-publishers don’t even realize are a thing because they are so fully integrated into the book reading process that we don’t notice them until they aren’t there. Blurbs short testimonials of the book and they are featured on the front and back covers of books. Blurbs are what spur readers to buy your book.